These days, Aerial footage is pretty much an essential part of any production you watch. From commercial videos, property shows, to cinema films, they add a unique perspective. From 400ft up you can instantly set the scene with amazing panoramic views. Conversely you can track or follow vehicles or people up close, where full size helicopters could never go. PPixauto can video simple sequences to insert into your film, cover ground filming as well, to keep the look and feel in sync, or offer complete packages including editing. 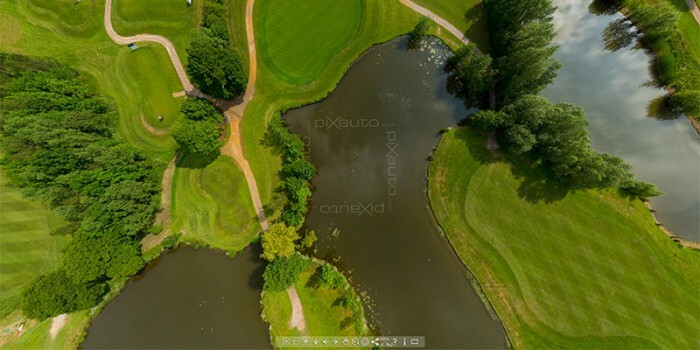 AAerial photography can be straight forward images, well composed and classic or go down the interactive media route by commissioning 360 panoramas, navigable spherical images, or complete virtual tours from ground and air. Click on image for an aerial tour example.